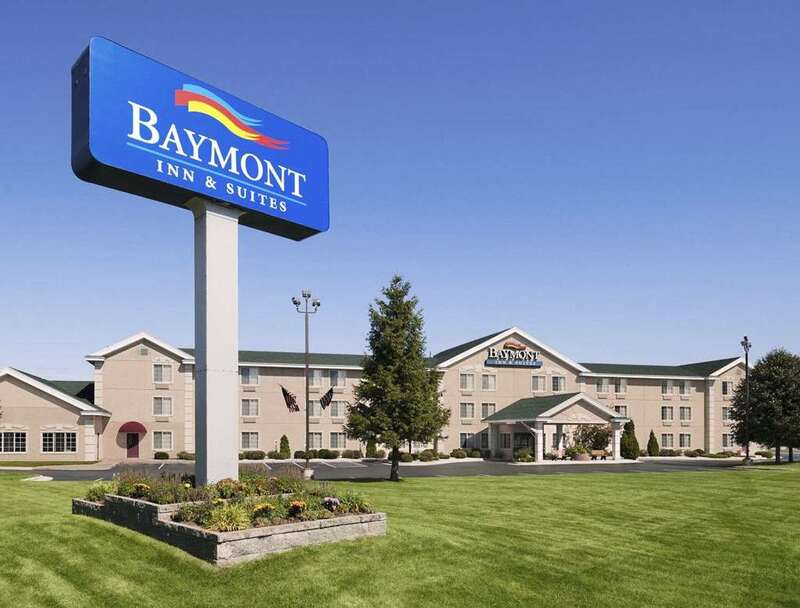 Conveniently located off Interstate 75, this Baymont Inn and Suites Mackinaw City is near Pellston Regional Airport, Kewadin Shores Casino, the Jack Pines Lumberjack show, the Hill Creek Discovery Park, the Old Mackinac Lighthouse, historic Mackinac Island, shopping on downtown Central Avenue or at Mackinaw Crossings, and many local restaurants. Experience hometown hospitality at this smoke-free, dog-friendly lodging with complimentary continental breakfast, complimentary wireless Internet, heated indoor pool, hot tub, fitness room, and business center with complimentary fax and copy services. There is no charge for children under 17 when staying with an adult. Guest room amenities include coffee maker, desk and TV. Suites and handicapped-accessible rooms are also available. Dogs allowed for a nominal fee.